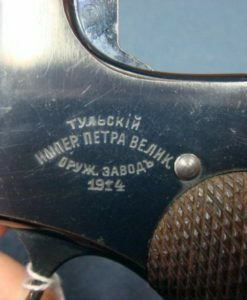 BLOOD SPATTERED SOVIET 1941 NAGANT REVOLVER…..VERY SHARP WITH CAPTURE PAPERS!!! 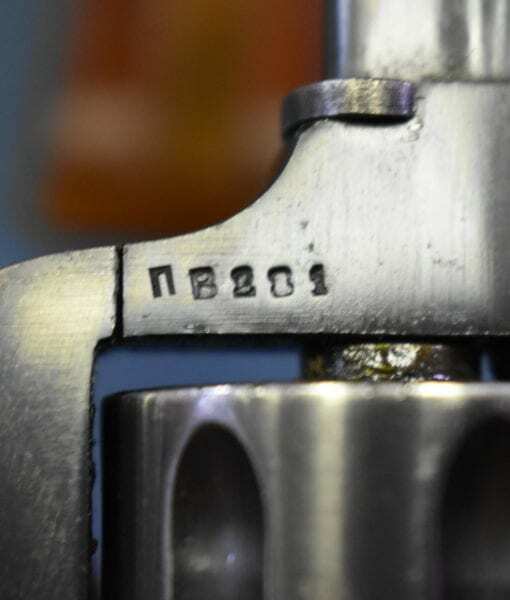 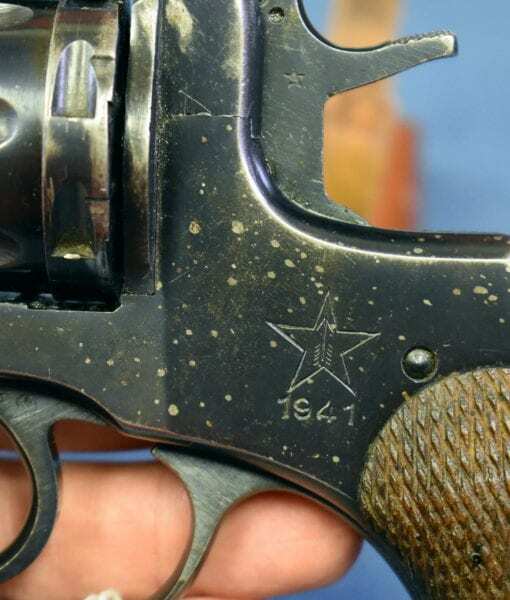 In 96-97% condition, we have a very interesting Tula made,1941 dated Soviet Red Army M1895 Nagant Service Revolver. 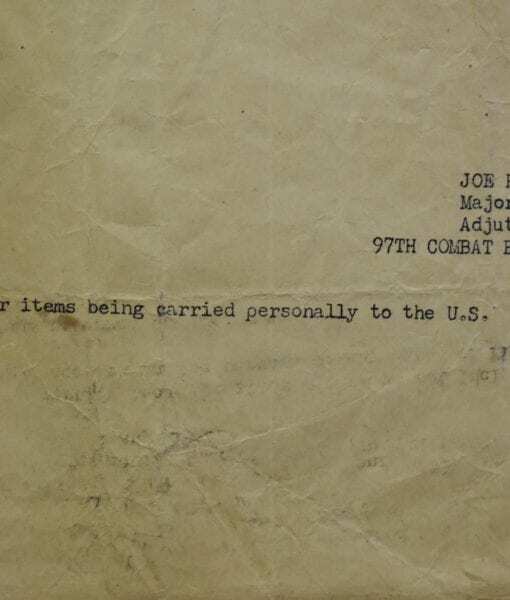 This one is a WW2 Vet Bring back that is Still WIth the Capture Papers!!! 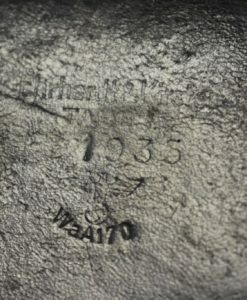 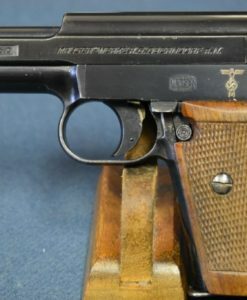 Undoubtedly this was pulled off a Russian, possibly during the 1941 German Invasion and then years later pulled off of a German soldier by a G.I. 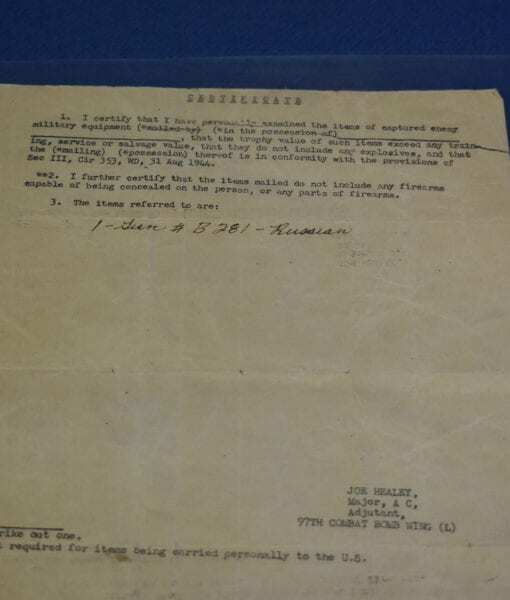 There is a small area of genuine, legitimate blood spray/spatter visible on the left side of the frame, obviously from a ballistic wound to whomever was carrying it at the time, a testament to the violence of war. 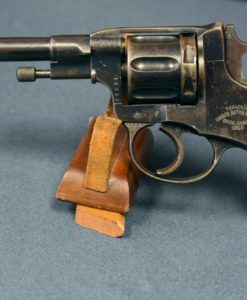 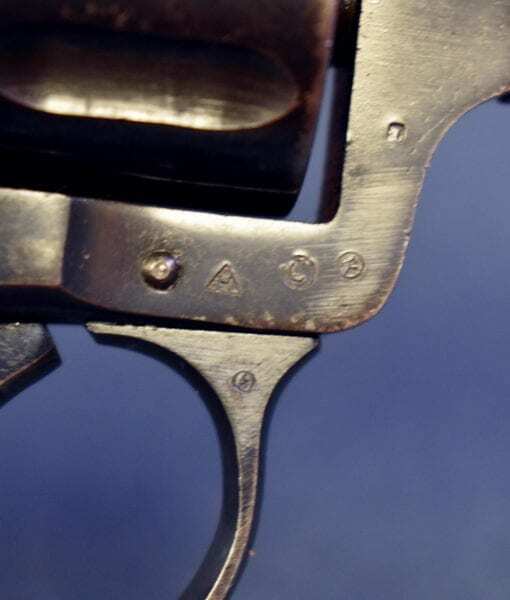 This revolver is all matching and we rarely ever see these revolvers this sharp looking. 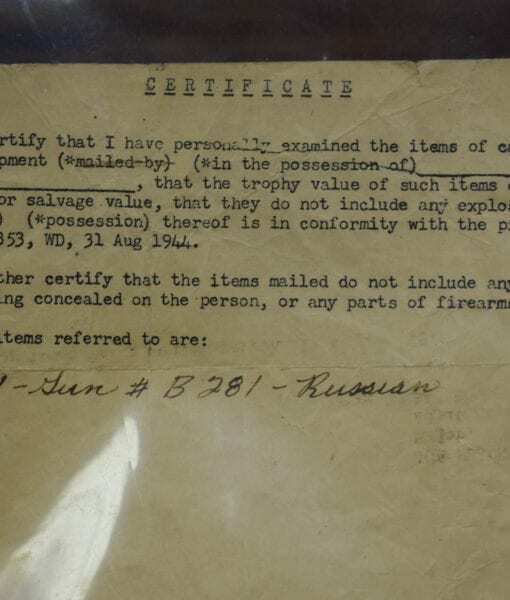 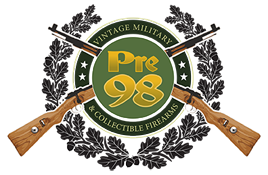 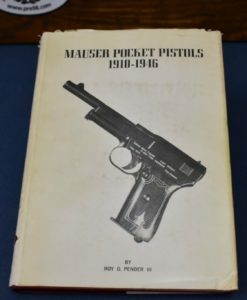 While there are many reblued/rebuilt recently import marked “turd grade” Nagant revolvers floating around in the gutters of low end gun collecting, actual vet brought back genuine WW2 artifacts are not common. 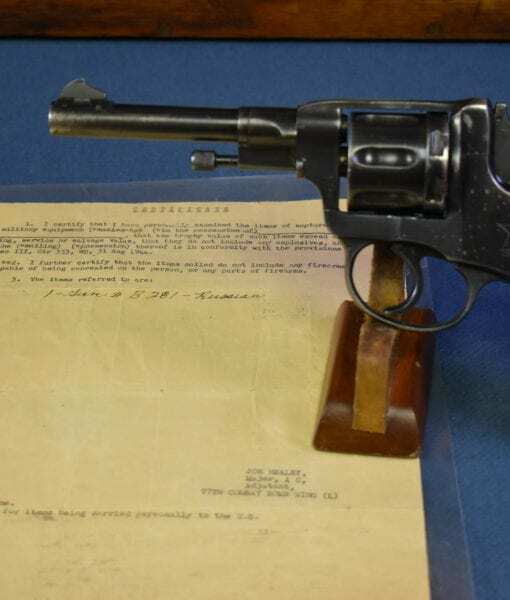 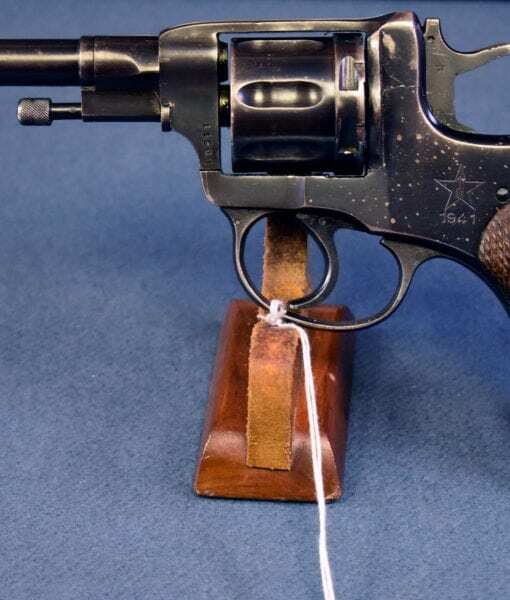 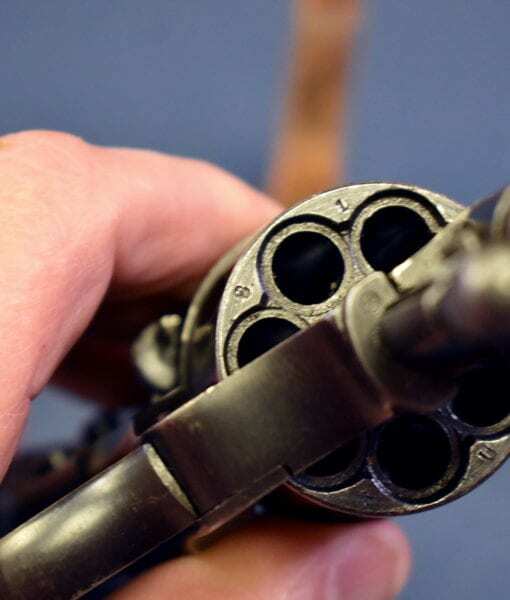 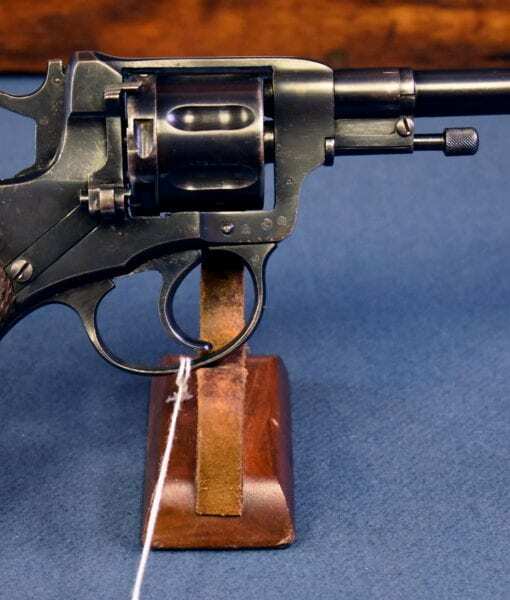 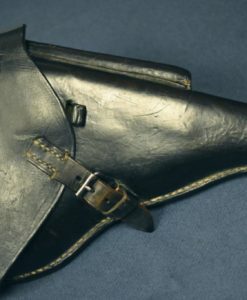 These 7 shot gas-sealed revolvers witnessed some of the most traumatic history of the 20th century, from the Russian point of view the highlights would be WW1, the Russian Revolution & Civil War and then WW2. 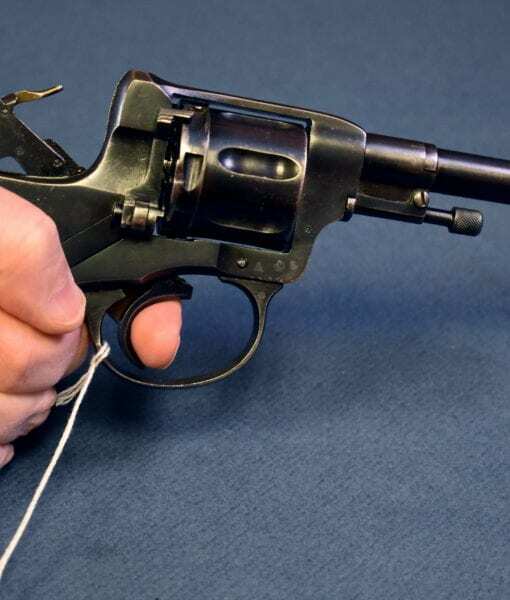 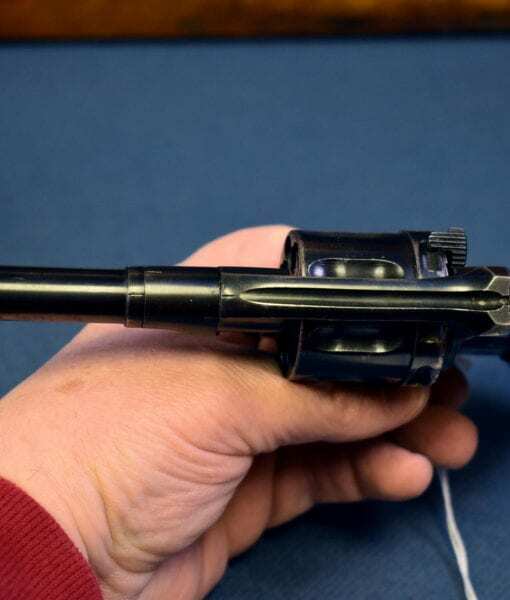 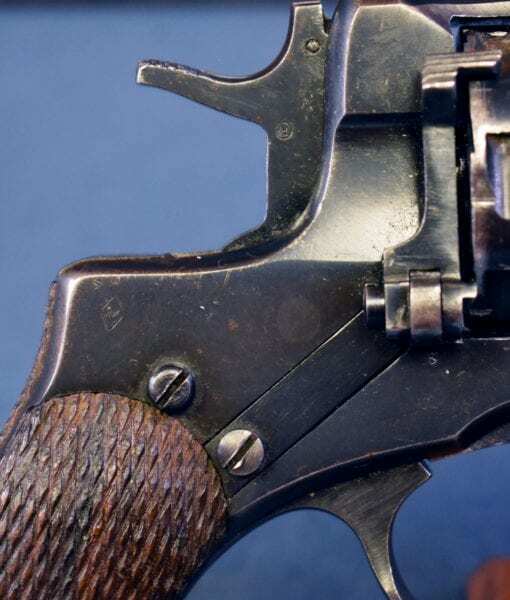 By WW2, these revolvers were totally obsolete yet they stayed in production throughout the war primarily because you could fire them out of the view ports of a T-34 tank, something not possible with a TT33 Pistol.